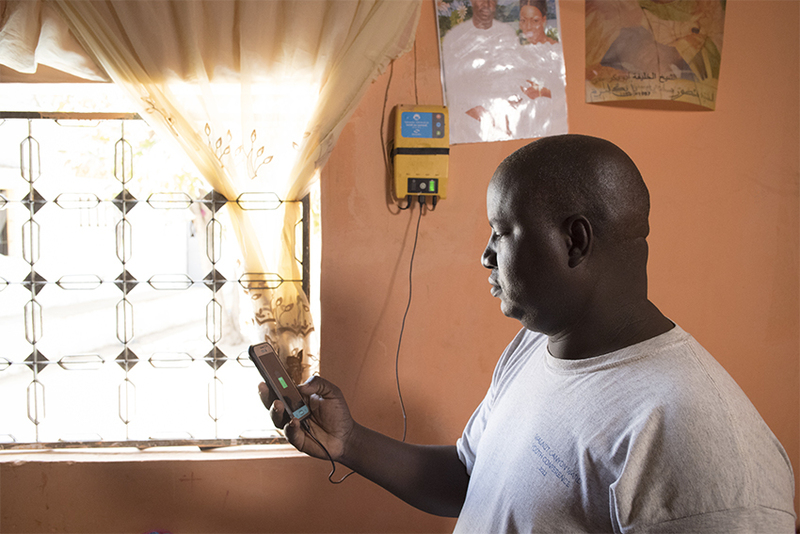 Since 2016, Baobab+, a subsidiary of the Baobab Group, has been offering Pay-As-You-Go (PAYG) solar kits in rural Senegal. PAYG technology allows remote control of the product. The customer makes payments based on their income to activate the product and eventually becomes the owner. Clients who were previously too risky to lend to, will be able to gradually become eligible for financial products and services, thanks to PAYG as their first financial experience. A pilot project supported financially by CGAP is currently underway in Casamance, Senegal. The objective is to offer eligible Baobab+ customers a digital nano loan, accessible instantly and without any guarantee at Baobab points of sale. The credit approval decision is made by a scoring algorithm that analyzes the payments data for the solar kits. The amount of the loans varies between 7,000 and 250,000 FCFA (10 and 380 EUR). The principle is simple: the faster the customer repays his loan, the higher the amount of the next loan will be. At this point, the initial results look promising and have a real impact on the lives of our customers. For example, Rosine, one of our first clients in Ziguinchor is already on her 4th nano loan! Having repaid her loans in advance, her nano loan has increased from 54,000 to 81,000 FCFA (82 to 124 EUR). Rosine raises chickens to sell their eggs, and also produces honey. Her loans allowed her to invest in new chickens, as well as to improve her chicken coop, especially through the purchase of lamps to heat the eggs. Faustin, meanwhile, is on his third nano loan. His loans went from 25,000 to 35,000 FCFA (38 to 53 EUR) and allowed him to buy a new fishing net and develop his fishing activity. First developed and tested in Senegal, this offer will be available in Madagascar, Côte d’Ivoire and Mali in 2019. Baobab+ aims to enable 300,000 households to follow this pathway to financial inclusion in 3 years, especially people living in rural areas and currently financially un/underserved.